This is not a video game review; this is a meditation about the nature of our temporal experience. This is about coming to terms with the fact that you can’t enjoy something for the first time more than once, and appreciating the circumstances under which you actually can. Growing up, one of my favorite places was the back seat of my family’s minivan. 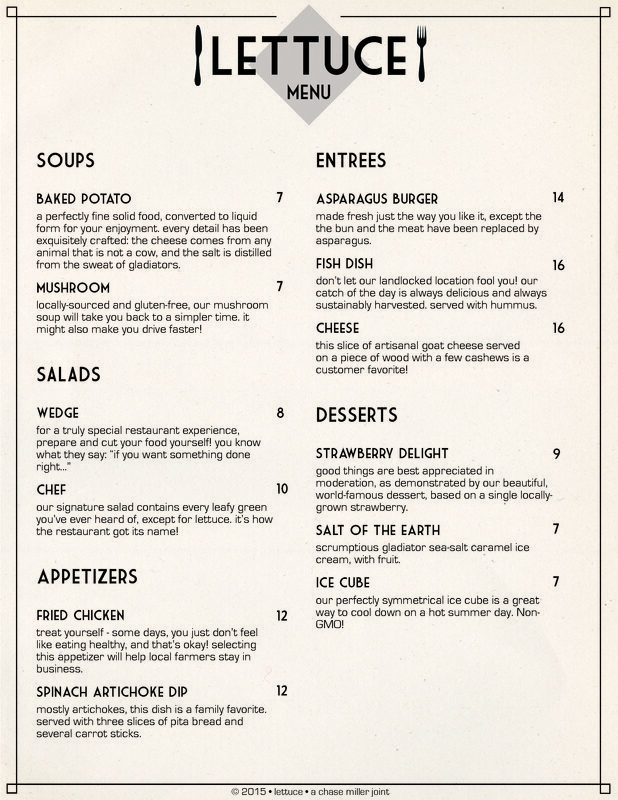 It would probably still be one of my favorite places if it were around anymore. That seat meant familiarity even as the world flew by – I could fall asleep and wake up in a new state, and the seat was always there, my open backpack on one side and a Nintendo handheld and a couple books on the other. The back seat wasn’t just a refuge; it was something I looked forward to. Uncertainty anchored to familiarity is exhilarating – it’s the promise of better things and of new adventures. Uncertainty by itself is exhausting. Airplane travel, for example, carries none of the fond memories or feelings of embrace that I associate with that minivan. I’ve never outgrown my fear of airplanes, hope as I might, and it always strikes me how different it feels from something so similar. The pieces of media I wrote about in my last two enthusiasm posts, Owl City’s Ocean Eyes and the movie Hoot, are at least reasonably well-known even if most people are apathetic about them. But when I ask people about the subject of today’s post, Demetri Martin’s stand-up set If I, almost nobody has heard of it. To me, this performance is the pinnacle of the philosophical comedy genre I wrote about a while back in a post about DC Pierson. It’s a comedy show, as Demetri Martin is nominally a comedian, but it provides more introspection than laugher and that’s not a bad thing in this case. Demetri opens the performance with this gem: “The unexamined life is not worth living. Socrates said that. I would just add one thing – man. The unexamined life is not worth living, man!” This is the tone of the show distilled. It’s obsessive self-analysis and urgent soul-searching, softened by deadpan humor. It rules. Millennials are the worst. They are entering the workforce at increasing rates and soon they’ll be the ones shaping the future. They are the largest demographic in the United States, and because they are the worst, everything is going wrong. When millennials were growing up, only the winners received trophies. Their dispassionate fixation on results over process is a byproduct of this broken trophy-distribution system. Maybe if we hadn’t overemphasized the importance of final outcomes, millennials could enjoy the journey without thought of the destination. But it’s too late; millennials know that effort is only worthwhile if leads to a W.
When they were kids, millennials were told that only truly exceptional people could do exceptional things. Today’s twentysomethings never had to give up on being an astronaut because they never dared to imagine it. They’re very rational, but they’ve forgotten how to dream. Millennials, defying even the most conservative estimates, are the most technology-averse generation since the Great Depression. Their comparatively poor social skills are likely a result of their tendency to isolate themselves from the effortless connectivity of modern technology. Millennials understand that no one person is truly unique. Their parents constantly reinforced this theme, and as a result, millennials are bystanders – they expect somebody better or smarter to come along and do all the things that need doing. A common refrain among millennials is “follow the money.” They are financially successful, because they eschew fulfilling careers for jobs more suited to their skills, but their careers are often marked by hesitancy. Because they generally do not believe they are special, they feel unprepared when it comes time for them to assume leadership roles. They often instinctively suspect that promotions are clerical errors or practical jokes. They accept unhappiness because they have never expected better. This generation the least self-aware in recent memory. They’ve earned the nickname “the You generation.” Despite their stunted interpersonal skills, they are fixated on the well-being of others to a fault. Ask a millennial about his likes and dislikes, about her aspirations, and you will receive a blank stare. 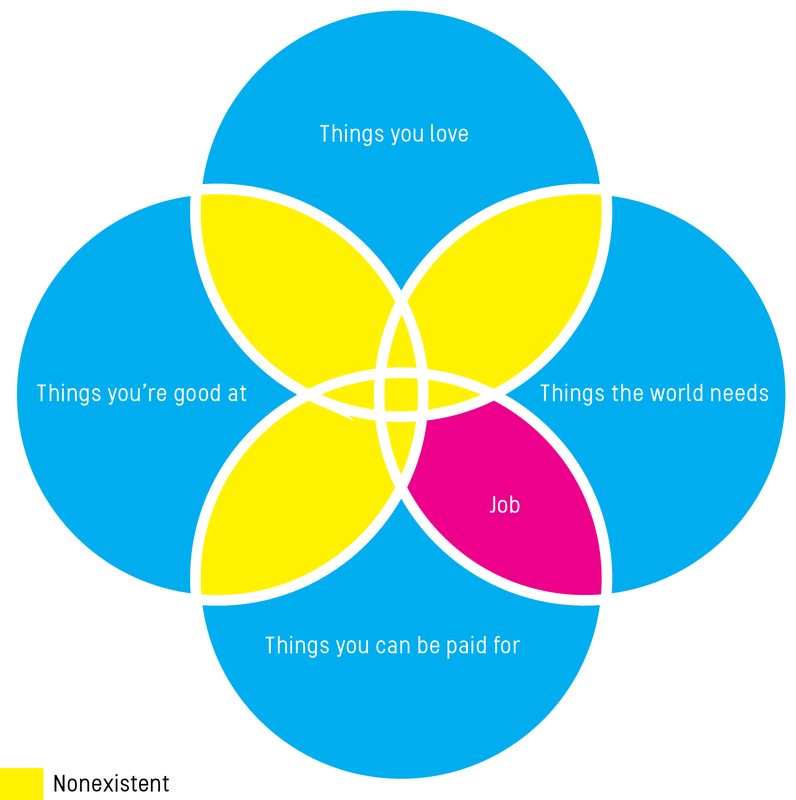 How can millennials be happy if they don’t know what they want? How can we continue to create art and music and literature if the largest demographic in the country has no concept of self to express? Millennials are great employees. Just don’t try to have a stimulating conversation with one. I haven’t posted much writing recently. I’m often too conscious that my words might be read by another human, and I don’t want to come across as angry or frustrated, so I don’t finish thoughts or I don’t write at all because of imagined social feedback. I’ve never been particularly confident that things I write are worth reading, but in the past it hasn’t stopped me from posting inane musings about wanting to operate a lighthouse or what it takes to be cool. 1) It probably isn’t, and if it were, demonstrating it would take more than twelve bullet points, a few gifs, and an offensively capitalized title. I never got to live in a world where wrestling was real. It was the first prerequisite to be able to watch wrestling with my dad. Before I even saw one match, I was let in on the secret that most kids have to figure out on their own, or the thing that ruins their ability to love wrestling entirely. It was fake. The people in the ring knew how to do moves without hurting each other, everything was predetermined. The person with their hand raised didn’t get there by some triumph of the human spirit, by being the best in their craft, by having the most devastating finishing move, but rather because it was how the script went. I was in on the joke of wrestling and I loved it anyway. My dad and I spent every Monday night watching these larger-than-life characters throwing themselves at each other as if the fate of the world depended on it. We never ordered a single pay-per-view, but I’d wait with baited breath for my dad to come home the next day with a stack of printouts with the results from the show the previous night, trying to piece together what it must have looked like for one of my guys to win the title after working so hard. My hero was Stone Cold Steve Austin, the surly redneck stand-in for every working man who hated his boss. When the bad guys would try to rig the story to go their way, I would almost shake with anticipation knowing that at any minute the sound of glass shattering would burst in through the sound system and Stone Cold would be on his way to the ring to dispense with some comeuppance. He wasn’t afraid to stand up to anyone and he never backed down from a fight. As a goody-goody, I was drawn to the way that Stone Cold Steve Austin was a BAD DUDE without being a bad guy. I may or may not have been grounded once or twice because I thought a friend needed a Stone Cold Stunner at a sleepover. I would get so mad when things didn’t go Austin’s way, even though I knew it was in the script. Even though I knew that everything would eventually end with my hero’s hand raised high and a title belt around his waist. Without fail, those moments came, and glass would shatter, and there he’d be. The winner and the champion. Dad and I would celebrate wildly. Well, mostly me, but Dad was never sad to see me enjoying myself. And in those moments, maybe wrestling had been real. I write all of these old memories because one new song by my favorite band in the world just brought them all rushing back. 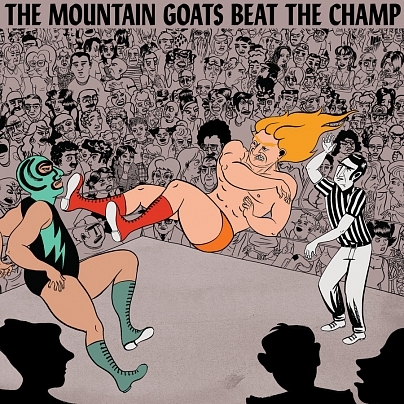 The Mountain Goats just released “The Legend of Chavo Guerrero” from their upcoming pro wrestling themed album Beat The Champ. John Darnielle tells the story of his childhood hero Chavo Classic, and most importantly, of himself watching Chavo bring justice into a world of uncertainty. Chavo, for Darnielle, was someone who would never let him down, even though others always did. In a triumphant 3 minutes that I’ve listened to probably 40 times since it was released this morning, Darnielle weaves a story of the importance of heroes, of hating everything that stands in their way, of the anticipation of triumph when you see someone you love ascend to the top rope, ready to win in spite of everything that says they shouldn’t. Darnielle says that he wrote Beat the Champ “…to re-immerse myself in the blood and fire of the visions that spoke to me as a child, and to see what more there might be in them now that I’m grown.” If this one song can take me back to jumping on my parents’ bed watching grown men in underwear pretend to beat the hell out of each other, I can’t wait to hear the rest of it. You can listen to “The Legend of Chavo Guerrero” below and you can get Beat the Champ when it releases April 7th.